MISSOULA – John Ernest Lynn loved fiercely and lived wholly. On Wednesday, Nov. 6, 2013, he unexpectedly died of a pulmonary embolism. He had spent that day traveling to Libby and Kalispell, through the spitting snow of early November, where he met with managers from the Western Montana Mental Health Center and did one of the things he did best, supporting those who served the mentally ill.
John was born July 3, 1951, in Coeur d’Alene, Idaho, to the late Ernest Franklin Lynn and Helen Lillian Dolberg Lynn. Along with his sister Judy and brother Jim, the family lived in Post Falls, Idaho, for their first 10 years, where they explored and camped in the mountains of northern Idaho. John’s grade school years were marked by the early death of his father when he was 12, just a year after the family had moved to Spokane. John attended Washington State University, studied abroad in Bonn, Germany, and later earned a graduate degree in applied psychology at Eastern Washington University. Beginning as a psychologist at Spokane Mental Health, John moved to Missoula in 1980 as the director of River House to work with the seriously mentally ill. 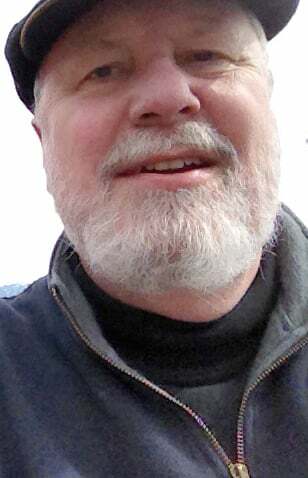 He became deputy director of the Western Montana Mental Health Center in 1994, serving the western region, connecting satellite offices from Libby to Hamilton. He was a humanizing force in the business of mental health, traveling often across the state to testify to the Legislature about the critical need for services for the mentally ill. From the testimony of the people whom he supervised, John was an outstanding administrator who advocated for them and for the clients they served. He recently attended the National Alliance on Mental Illness conference and came home reconnected to many of the people with whom he started his career in Montana. That evening, he brimmed over with stories and renewed vigor for his vocation. John served on the Target Range School Board during the years his own children attended Target Range. He twice ran for the Montana Legislature. John was appointed by the governor to the Montana Board of Social Work Examiners and Professional Counselors, which he chaired. He was proud of his work on that board, as he was of his recent appointment to the board for the new Recovery Center Missoula. He instilled in his boys the principle of service. That truth guided his life. Central to the core of his life was his fierce love and dedication to his family. The family home is built up a narrow canyon where deer and wild turkeys keep company and the family is held in a close circle of neighbors. John brought his family together over meals, music, long drives and camping trips. They traveled many miles together – from City Lights Books in San Francisco to Mexico to Amsterdam and Germany – and always back home to dinner on O’Brien Creek. Surrounded by the musicians and poets in his home, he was the source of their beauty and creativity, always their devoted, honest and appreciative audience. John was debilitated by the death of his 17-year-old son, Jesse Taylor, in 2005. He struggled for years, trying to reconcile himself with the beauty and generosity of his life and his bewilderment at the unfathomable loss of his second son. In the last several years, he had grown lighter, with joy. This last summer John took his wife, Lorilee, on a six-week tour of Europe. As he always did in planning trips, he asked Lorilee what she wanted. Her answer: sun, salt, sand and seafood. From that cryptic answer and 34 years of wanting to please her, John concocted a trip that sent them on trains and ferries from Zurich to Sorrento, Italy. They traveled to John’s German roots and visited friends of his youth and added adventures in Slovenia and Croatia. It was a journey that offered the best of John Lynn: the friend, the husband, the lover, the father. The only thing missing was their boys. One hot summer day when the boys were young and the family was staying at a remote cabin on Priest Lake in Idaho, John jumped on Jesse’s bike and plunged headlong down the terrace bank onto the long rickety dock. He barreled across the silvery boards and as everyone watched, flew off the end into the icy spring lake, bike and all. His boys gaped in astonishment. That was their father. Ill-behaved, mischievous and bigger than life. He lives on in them. The family he loved and who are grieving his death are his boys, Gabriel, Jesse, and Madison; his wife, Lorilee and parents, J. Robert and Dorothy Evans; his brothers and sisters, Judy and Jim Bullis, Jim and Linda Lynn, Jim and Lisa Evans and Beth and Frank Repplier; and his nieces and nephews, Elizabeth and Toby Taylor, Hannah and Peter Cuviello, Matthew Bullis, John Eric Lynn and Alison Terhune, Evan and Matthew Repplier, John and Owen Evans and Harrison and Ruby Taylor. In lieu of flowers, please send memorial contributions to the Flagship Program at Big Sky High School, or Aerie Big Sky and Aerie International literary art magazines of Big Sky High School. the Cremation and Burial Society of the Rockies, followed by a 2 p.m. memorial celebration at the MCT Center for the Performing Arts. If you would like to record a story about John, please send to masidontus@gmail.com.